WASHINGTON — FBI Director James Comey told FBI employees Wednesday that the decision to forgo criminal charges in the Hillary Clinton email investigation was not a close call. "At the end of the day, the case itself was not a cliff-hanger; despite all the chest-beating by people no longer in government, there really wasn't a prosecutable case," Comey wrote in an internal memo. "The hard part was whether to offer unprecedented transparency about our thinking." He also struck back against criticism that the FBI had intentionally timed its release of investigative documents related to the case last Friday, just ahead of the Labor Day weekend. 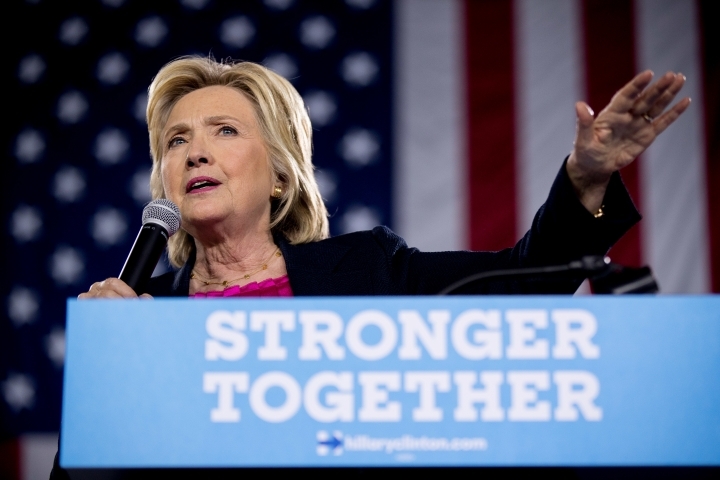 Those documents included a summary of Clinton's July interview with the FBI about her private email server, as well as a detailed investigative summary of the case. Comey said the documents were made public as soon as they had been cleared for release, were processed under the Freedom of Information Act and had received the "necessary sign-offs from other agencies with interest in the information." "I almost ordered the material held until Tuesday because I knew we would take all kinds of grief for releasing it before a holiday weekend, but my judgment was that we had promised transparency and it would be game-playing to withhold it from the public just to avoid folks saying stuff about us. We don't play games," Comey said. The FBI is continuing to process additional documents and more will be released, "no matter the day of the week," he added. The memo, obtained by The Associated Press, was first reported by CNN. Comey in July announced the FBI's recommendation against criminal charges for Clinton and her aides following a yearlong investigation into the potential mishandling of classified information on the private email server she used as secretary of state. Later Wednesday, the top Democrat on the House Oversight committee released an email exchange between Clinton and former Secretary of State Colin Powell in which the Republican appointee advised her on the use of personal email. The exchange occurred two days after Clinton was sworn in. Powell said he had "a personal computer that was hooked up to a private phone line ... so I could communicate with a wide range of friends directly without it going through the State Department servers. I even used it to do business with some foreign leaders and some of the senior folks in the Department on their personal email accounts." The release of the email by Rep. Elijah Cummings, D-Md., came on the eve of a House Oversight hearing in which Republicans are expected to focus on Clinton's use of a private email server and whether the State Department has been forthcoming with Freedom of Information requests. Republicans, frustrated with the FBI's decision not to recommend charges against Clinton, plan several hearings before Election Day to examine the Democratic presidential nominee's actions.